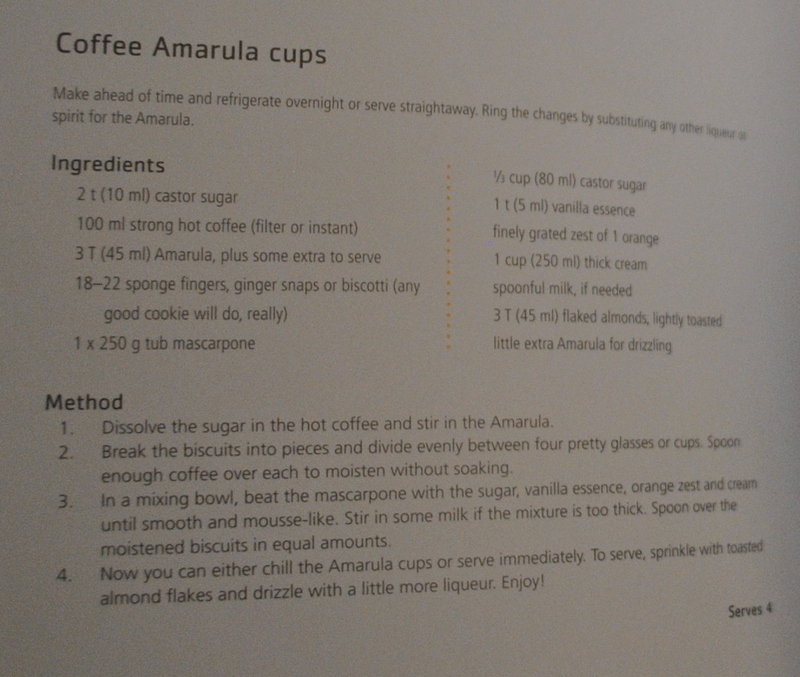 Wow, I can't tell you how excited I was to receive an e-mail from Aletta Lintvelt asking me to write a review on behalf of Kalahari.net and Food24 - I immediately jumped at the opportunity and the cookbook that was selected for me was Sonia Cabano's Easy Simple and Delicious. Sonia is a former model, which instantly made me think that her views on food would be very similar to mine - being that only the best ingredients should be put into your body in order for you to look and feel your best. I was right! "Fast" encourages you to manage a balanced, nutritious and tasty eating plan with delicious recipes that are quick to prepare. Decent staples are a must when it comes to no fuss meal planning such as canned beans, tomatoes, tuna, dried pasta, rice and condiments - especially Asian ones. The pastas in this sections are mouth-watering, especially the Ragu bolognese and for the sweet-toothed, Brazil nut and raisin rocky road looks delectable. "Lazy" is all about the celebration of food, friendship and intimacy, which often take the back seat in our fast-paced lives. Classic recipes have been included in this section that will whisk you back to a by-gone age and make you embrace everything those past ideals stood for, most importantly the need to slow down and appreciate life's little pleasures. Some dishes that stand out are Coq au vin with pancetta and onions; Rare roast sirloin with horseradish cream and Yorkshire pudding; and Summer minestrone with rosemary pesto. For the braai-obsessed, Moroccan char-grilled butterflied lamb is a must try! The final section is "Staples" - this section is the one that really got me excited as it includes recipes for homemade stocks, which are a necessity when the focus is on additive and preservative free meals that are full of goodness and pure tastes. Also included in this section are recipes for sauces such as barbecue and sweet chilli, curry powders, salad dressings and pesto. The cookbook itself embraces all of her principles; the pictures are bright and colourful and the recipes are simple and easy to follow. The paper is of good quality and I am sure that it will be able to withstand a good amount of kitchen activity. In the spirit of Sonia and her cookbook I decided to host a dinner party for a few of my closest friends where I cooked three of her dishes exactly as they were and then later tweaked them for the allergy conscious. 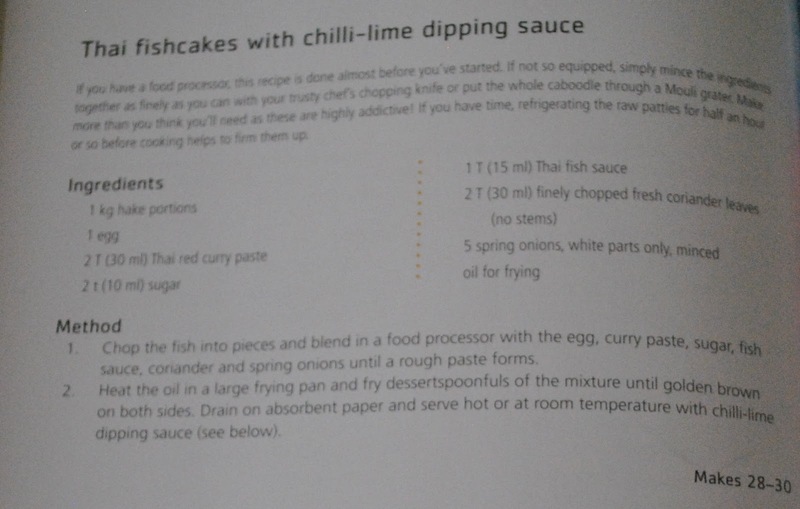 I selected Thai fishcakes with chilli-lime dipping sauce for starters - from the "Fast" section. 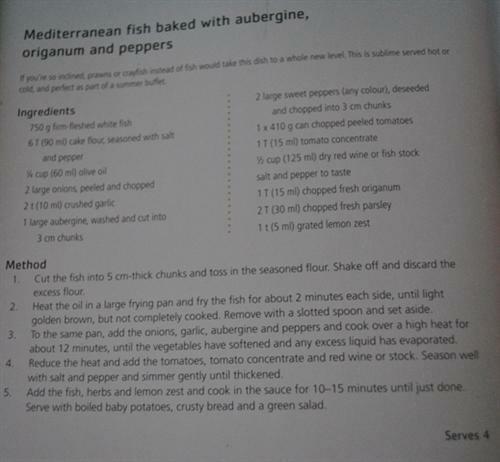 Mediterranean fish baked with aubergine, origanum and peppers for main - from "Fresh"
and Coffee Amarula cups for dessert - from "Fast". 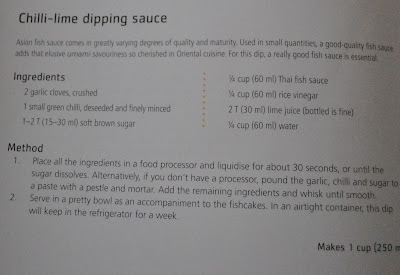 For the fishcakes it is essential to use a very good quality Thai red curry paste as the flavour will just get lost during cooking, which is what happened the first time I made them, therefore I would suggest adding an extra teaspoon or two. The second time, I decided to make my own paste from a recipe of Delia Smith's which improved the flavour immensely. 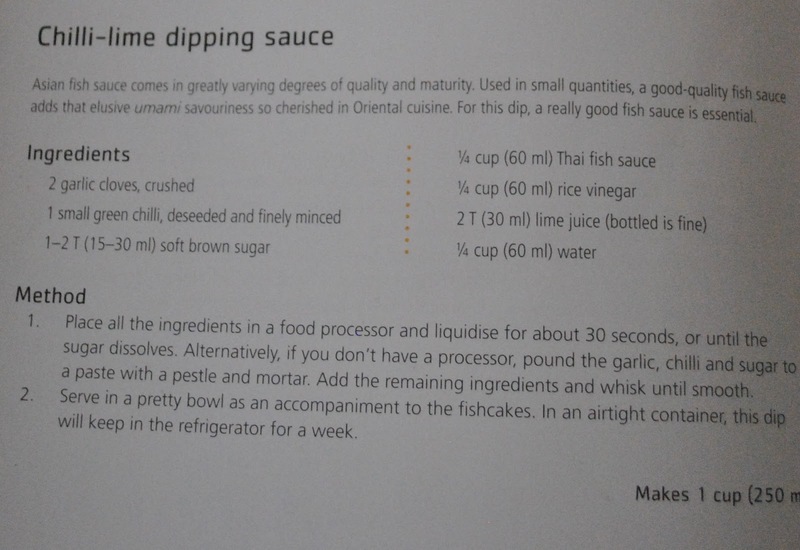 I added in 1tsp fish sauce, 1tsp soya sauce, 1tsp fructose and 1tsp sea salt and used ground cumin instead of cumin seeds as I couldn't find them, I also left out the shallots and garlic and replaced the lime with lemon. The end result was a firey paste with powerful flavours from the lemon grass, coriander and cumin - the perfect combo for the perfect fishcakes. Although Sonia encourages you to use less salt, I found the seasoning to be lacking in the original recipe - I added some sea salt to mine the next time I made them. 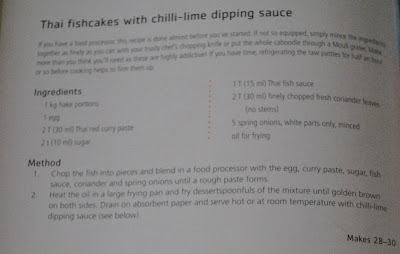 Over all, these fishcakes burst with flavour - I really enjoyed them and they looked exactly like the picture, which is a big plus! This recipe calls for a firm fish, but I made a big whoopsie and used hake, which just fell apart. When I used kingklip, it worked out extremely well. The second time I didn't toss the fish in flour as I thought it wasn't really necessary, although tapioca flour could be used as a gluten-free replacement. The flavours in the original dish were lovely - very robust and intense. I loved the inclusion of the lemon zest, it worked beautifully with the tomato and oreganum. I thoroughly enjoyed the dish and so did my guests, even though the fish fell apart; it landed up being more of a fish casserole. For the allergy version, I used Nomu Vegetable Fond instead of the wine, I left out the garlic and I used fresh tomatoes instead of tinned. 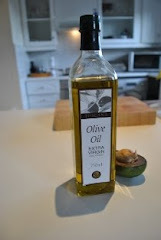 The result was individually fresh flavours - it turned out to be more of a lighter dish. The allergy version of Coffee Amarula cups to follow in tomorrow's post. Overall, tweaking is necessary for individual tastes and some pre-planning is needed, for a three-course meal, to prevent guests from waiting, especially if making use of the allergy versions. I would happily be stuck in my kitchen for hours with this cookbook - discovering new taste sensations and different ways to use ordinary ingredients. The thought of Sonia's baked sweet potatoes with honey, ginger and sesame-soy butter has had me drooling for days! I love those fishcakes, I actually love all home made fishcakes. Looks like a great book for me to invest in. Thanks for the review. Hi Leaine, thank you so much for your very thoughtful and thought-provoking review of my book! I am chuffed that you have taken all this trouble. I would love to stay in touch with you, since my next cookbook, which I will be writing come January 2011 is a vegetarian one, and I tend to veer towards vegan a lot of the time. I do have a vestige of a carnivore left in me, but most of what I feed myself is totally vegan and macrobiotic. My emailaddress is soniacabano2000@gmail.com I'd be so happy if we could strike up a conversation to talk about vegetarian and vegan cooking. I am also on Facebook as Sonia Cabano, would be delighted to share recipes with you.